We have some of the most elegant and grand rooms in Sheffield, including the Terrace Room, located in our Manor House overlooking the gardens. It’s the perfect suite for a boardroom meeting for up to 28 or a private dinner for 40. Beautifully grand, with elaborate mirrors and a Victorian fireplace, the door opens directly onto the Terrace, meaning guests can easily have their coffee breaks outside. The Drawing Room overlooks the paddock and offers space for 25 attendees for a boardroom meeting or up to 50 for a presentation. This room has the advantage of a connecting syndicate room for break out meetings or a working buffet. 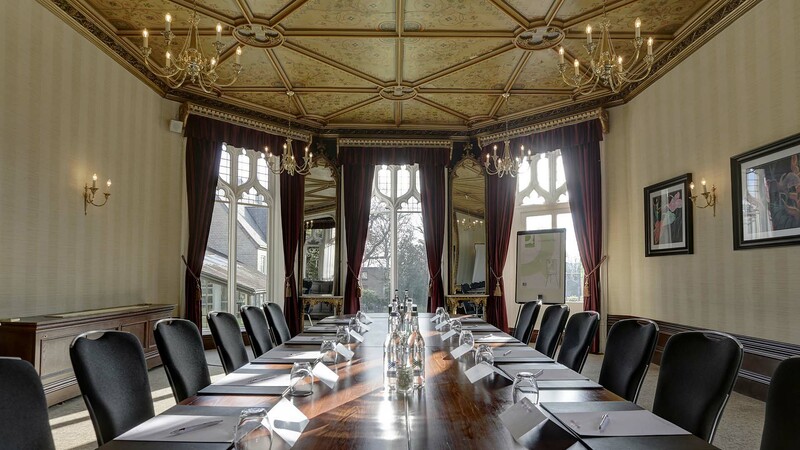 The Cutlers Room has large windows overlooking the grounds, providing the perfect backdrop for boardroom meetings for 22 or a private dinner. For a smaller venue, consider the Library; perfect for an intimate dinner or meeting for up to 16 guests. Features include a private bar and large original bookcase dating back to 1845. 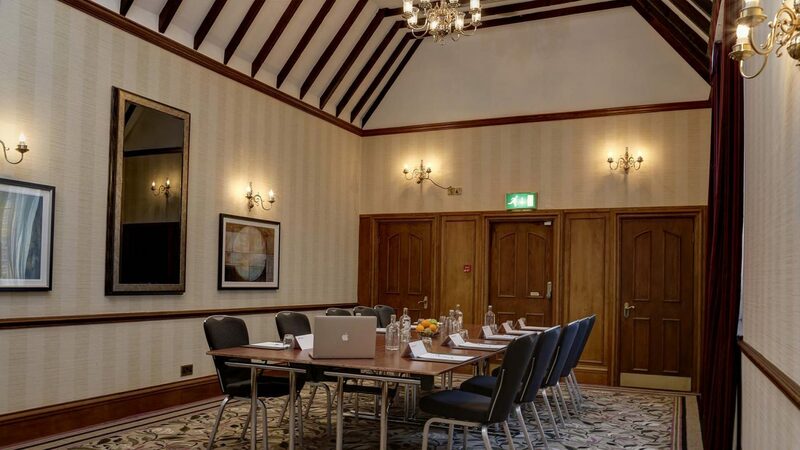 With stunning meeting rooms and excellent conference rates we’re the perfect choice for a South Yorkshire event. Room hire only is available for full or half day, please call 0114 258 3811 option 2 to enquire.